Kantian has developed a topically applied, nitric oxide based skincare technology which has been incorporated into a topical OTC acne treatment regimen called Neutralyze Anti-Acne Solution. This patented system has demonstrated enhanced efficacy in the treatment of acne (and other bacterial/fungal skin conditions), as compared to traditional salicylic acid treatments. All statutory/non-statutory safety testing and research has been completed, as well as various microbiological, clinical and consumer studies. 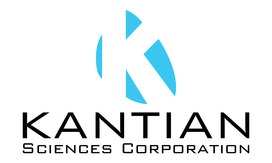 Kantian has developed a topically applied, nitric oxide based skincare technology which has been incorporated into an OTC acne treatment regimen called Neutralyze Anti-Acne Solution (2% salicylic acid). This patented system has demonstrated enhanced efficacy in the treatment of acne and other bacterial/fungal skin conditions, as compared to traditional salicylic acid treatments. All statutory/non-statutory safety testing and research has been completed, as well as various microbiological, clinical and consumer studies. The terms 'Kantian' or 'Kantianism' refer to the teachings of Immanuel Kant, a philosopher born in Koenigsberg, Prussia in 1724. He essentially founded the principals behind modern day moral ethics, viewing that the interests of society as a whole are more important than individual wants or desires. Kant's ethics are based on his view of rationality as our greatest tool, and his belief that all people are fundamentally good beings. Kant is perhaps best known for defending a version of the “respect for persons” principle, which implies that any business practice that puts money above people is immoral. The will to better people's lives, and society in general, must be the foremost priority in true Kantian business practice. Employees provide meaningful work on a daily basis, and management must act fairly and democratically within the organization whenever possible. It is this set of core beliefs that we hold close to our hearts, and keep at the forefront of our minds. In keeping with this philosophy, we promise to develop, manufacture and distribute innovative skincare products, which promote good health and a high quality of life for our customers. Our vision is to incorporate this unique skincare technology into additional products which can help treat a wide range of skin afflictions.